Names Hill State Historic Site is located along U.S. 189 near La Barge, Wyoming. 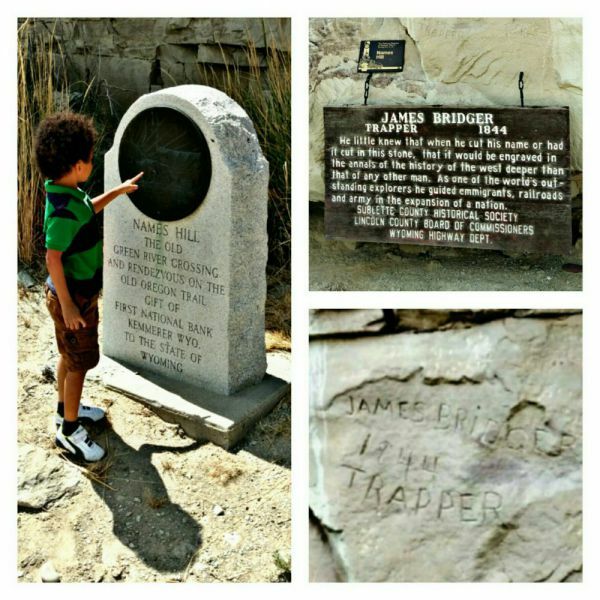 Fort Bridger State Historic Site oversees, maintains, and interprets Names Hill. The site is a notable location along the Oregon-California Trail where emigrants carved their names into the soft limestone after crossing the Green River. Names Hill is located on the west side of U.S. 189 approximately six miles south of La Barge Wyoming. The site includes a monument and 2 interpretive signs. View more updates for Names Hill Historic Site! For more information about Names Hill State Historic Site please visit or call Fort Bridger State Historic Site at 307-782-3842.